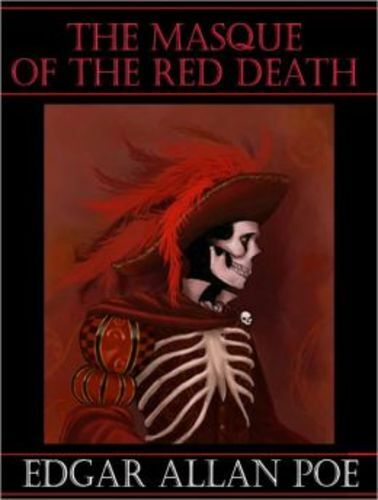 "The Masque of the Red Death", originally published as "The Mask of the Red Death" (1842), is a short story by Edgar Allan Poe. The story follows Prince Prospero's attempts to avoid a dangerous plague known as the Red Death by hiding in his abbey. The story takes place at the castellated abbey of the "happy and dauntless and sagacious" Prince Prospero. Prospero and one thousand other nobles have taken refuge in this walled abbey to escape the Red Death, a terrible plague with gruesome symptoms that has swept over the land. How do the symbolism and mood come together to convey a message about death?